A common misconception about Fund for Teachers fellowships has to do with their destinations. While many of Fellows choose to pursue learning abroad, the majority stay stateside. Furthermore, a fellowship’s “wow factor” has nothing to do with its funding potential or potential impact (i.e. repopulating coral in the Caribbean vs. taking a seminar in Seattle). 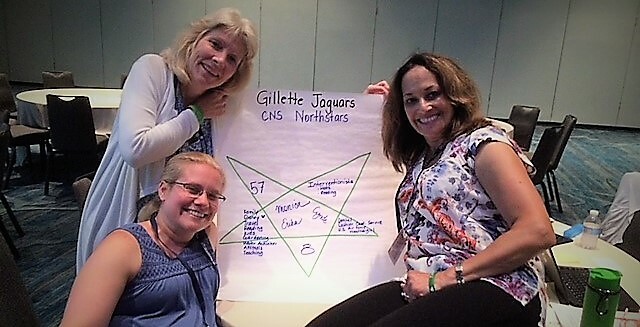 Case in point: the fellowship of Cynde Ciesla, Erika Gilbert and Monica Fitzgerald who last summer attended the Model Schools Conference in Orlando, FL. 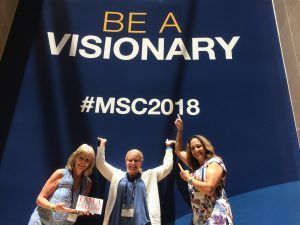 As you may recall, our fellowship was to attend the Model Schools Conference in Orlando, Florida. After four days at the most amazing educational conference, our heads were filled with so many things we wanted to implement! We wrote an action plan and narrowed our focus to one specific area, Social-Emotional Learning. We wanted to purposely build relationships with our most vulnerable students. After much conversation, we started a mentoring program for our kids. Our program is very organic and our purpose is to foster positive relationships to increase attendance, decrease disciplinary issues, and boost performance. We have a lot of evaluating and reflecting to do. Currently there are 12 staff members that are mentoring 27 students. 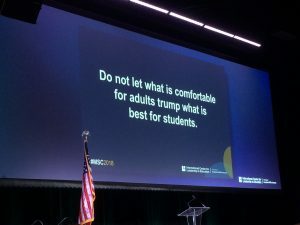 The most exciting take away from the Model Schools Conference has been the connections we made while there. Those connections have helped us to continue our learning, which will continue to impact our students. Many of the leaders at the International Center of Leadership in Education (ICLE) were quite impressed with our story – our desire and perseverance to get to their conference, and they truly treated us like “rockstars” while we were there. Our connections with them have also grown! Since returning from the conference, we have been asked to write blogs as part of the Into the Classroom Series, including this piece titled Interactive Read-Alouds: Build Strong Student-Teacher Relationships. We are going to Model Schools again in June and are currently working with the host, International Center for Leadership Education, to do a presentation that shares our experience and how we started our school’s mentoring program. Being awarded our fellowship last year provided learning experiences beyond what we imagined. Most importantly, it transformed into student learning and building relationships with all students. We will be forever grateful for your support in our learning. This self-titled “Sparks of Change” team teaches at Gillette Road Middle School in Cicero, NY. Read more about their fellowship on their Facebook page Our Model Schools Conference Experience.